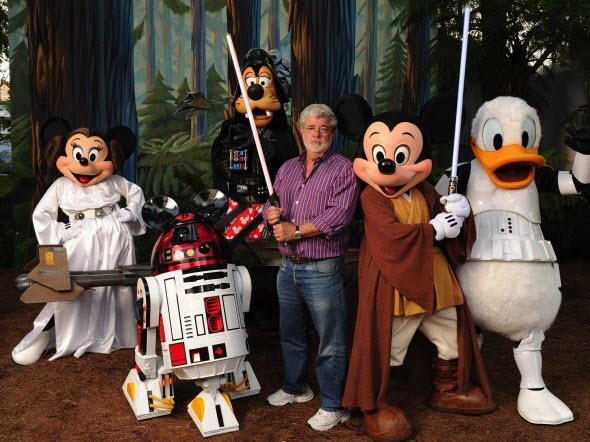 After savage reprisal against Star Wars games, Disney finally has come to its senses. The company has signed an agreement with EA on the development and publishing new Star Wars titles that are going to be released in the nearest future. Disney itself will be creating Star Wars games for mobile phones, tablets and social networks, but the main development is going to take place in three the most brilliant EA studios. The New Star Wars games will be embodied by DICE (the Battlefield creator), Visceral (Dead Space developer) and BioWare (the author of Mass Effect). Well, these three studios are known as creators of really qualitative and awesome games, but, unfortunately, EA has a reputation of greedy and unprincipled money maker. So it is hard to say now, whether Star Wars games are in good hands or not, but after all it is better than nothing. Unfortunately, the previous anticipated titles such as Star Wars: First Assault and Star Wars 1313 won't be developed by EA or any other company, although they were almost finished, when Disney decided to cancel them.